Barnardo’s Calderdale Positive Identities Service invites you to join our launch event on Friday 14 September 2018, 1:00pm-4:00pm at the Elsie Whitely Innovation Centre. Working with young people in the community and in primary schools. Supporting services and organisations to understand the importance of ensuring accessibility. Training community members and multi-agency professionals. 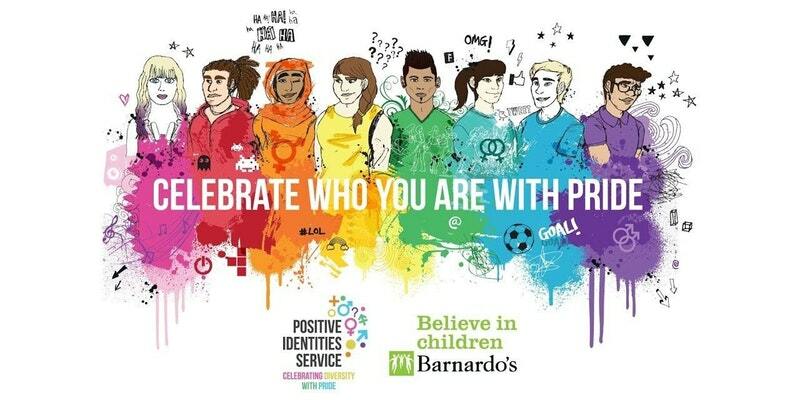 Barnardo’s Positive Identities aims to create a CALDERDALE LGBTQ PARTNERSHIP GROUP, making Calderdale the best borough in the North for LGBTQ young people, their families and communities. Discuss our vision to make Calderdale the best borough in the North for LGBTQ young people, their families and communities. Places are limited and are allocated on a first come first served basis, so book now to avoid disappointment.